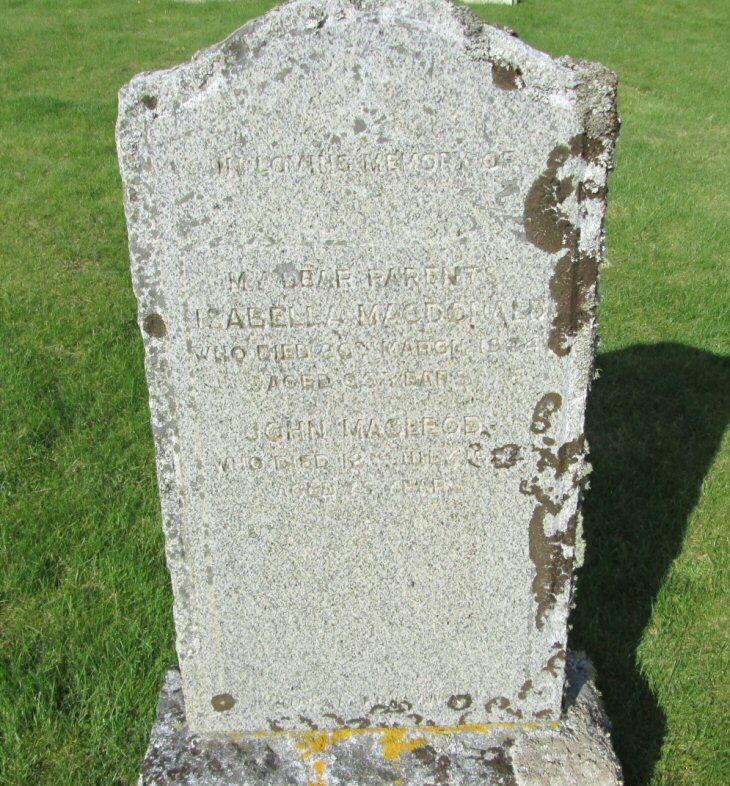 Skye Gravestones | Isabella (Macdonald) & John Macleod. Isabella (Macdonald) & John Macleod. In loving memory of/my dear parents/ISABELLA MACDONALD/who died 20th March 1944/aged 65 years/JOHN MACLEOD/who died 12th July 1962 /aged 75 years. Picture Added on 11 January 2014.